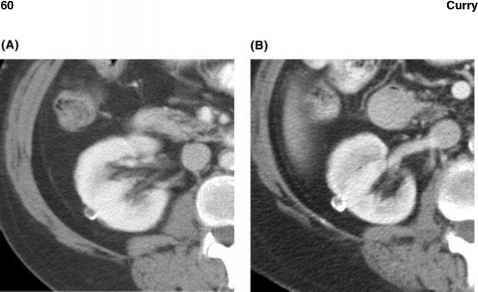 Figure 5 Measurement of renal perfusion with T1w dynamic Gd-enhanced sequence in a patient with right renal artery stenosis. Renal transit curves after injection of Gd-DTPA show a decreased ascending slope on the right cortex. Blood flow measured from the slope of renal perfusion curve and the peak enhancement in the aorta were 1.29 and 1.89 mL/min/g in the right and left cortex, respectively. Abbreviations: T 1w, T 1-weighted; Gd, gadolinium; DTPA, diethylene-triamine-pentacetate. Source: From Ref. 32. Using this method, with a small bolus of contrast (0.025 mmol/kg) and a T1w gradient-echo sequence, Vallee et al. (32) were able to measure cortical blood flow (BF) in 16 patients with normal kidneys (254 ± 116 mL/min/100 g), decreasing to 109 ± 75 mL/min/100 g in case of RAS (Fig. 10) and to 51 ± 34 mL/min/100 g in case of renal failure. Unfortunately, no reference measurements with radiopharmaceutical techniques were used. Renal perfusion can alternatively be measured using pulsed arterial spin labeling (or spin tagging) using endogenous water as a diffusible tracer (Fig. 6) (34). With this technique, a perfusion-weighted image can be generated by the subtraction of an image in which inflowing spins have been labeled from an image in which spin labeling has not been performed. Quantitative perfusion maps can then be calculated (in mL/min/100 g of tissue) when T1 of the tissue and efficiency of labeling are known. Several pulse-sequence strategies have been described to tag arterial flowing spins, which can be divided into two groups (continuous or pulsed labeling) with different advantages and drawbacks as described in detail by Calamante et al. (35). Figure 6 Schematic description of the principles of freely diffusible tracer theory. 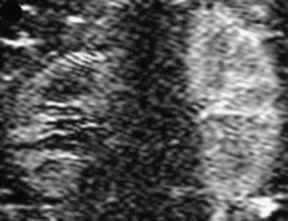 Inverted magnetization (white) comes from the arterial tree (white arrow) and diffuses at the capillary level. There, spins are exchanged with the tissue magnetization (gray) and reduce its local intensity. The degree of attenuation is a direct measure of perfusion. 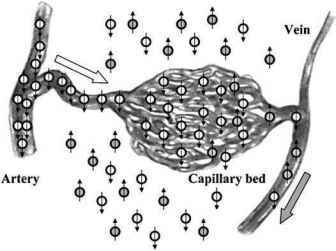 Remaining tagged magnetization as well as exchanged water molecules flow out of the voxel of interest through the venous system (gray arrow). Source: From Ref. 34. RAS or a renal disease, allowed to significantly separate normal and diseased kidneys by measuring cortical signal-to-noise ratio (Fig. 7) (37). Recently, a technique associating a FAIR preparation and true-fast imaging with free precession data acquisition provided very encouraging quantitative results because of shorter echo time and fewer saturation effects (38). However, these methods are complex to implement in clinical systems and have never been poorly correlated to established methods. 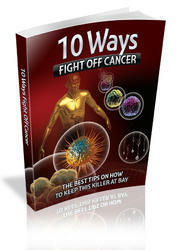 Hence, its impact in clinical practice remains uncertain. Impact of nephropathies on GFR can be assessed semiquantitatively or quantitatively. Measurement of GFR is difficult to obtain accurately as a routine. Semiquantitative evaluation of renal function, as split (or differential) renal function, is usually not useful in daily assessment and follow-up of renal diseases. Split renal function assessment is sufficient in urological management of most patients with obstructive uropathies (39). In addition, information about split renal function can be helpful when renal function is reduced and associated with renal asymmetry or renovascular disease, and before renal surgery or renal biopsy in patients with renal impairment. If the time resolution of the sequence is sufficiently high, normal Si-time curve following Gd-injection can be characterized by three phases: a first abrupt, ascending segment followed by a first peak, corresponding to the vascular-to-glomerular first-pass or cortical vascular phase; a second slowly ascending segment, ended by a second peak, corresponding to the glomerulotubular phase; and a slowly descending segment, corresponding to the predominant excretory function, the so-called excretory phase (Fig. 8). Figure 7 Example of perfusion measurement with the arterial spin-labeling (ASL) technique in a 52-year-old female patient with right-sided renal artery stenosis of 60%. 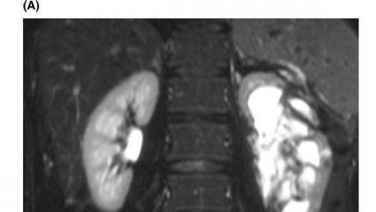 The ASL perfu-sion-weighted image shows reduced SI of the right kidney. The signal-to-noise ratio of the affected kidney is 4.8 vs. 8.6 in the healthy kidney. Abbreviations: ASL, arterial spin-labeling; SI, signal intensity. Source: From Ref. 37. It has been shown that the functional parameters calculated from the SI-time curves obtained with a T1w sequence were in terms of simple parameters, such as the maximum peak value, time-to-peak, and the area under the curve (40,41). In these approaches, conversion from SI to concentration of contrast agent is not necessary. where RFtotal is the sum of RFs of both kidneys. Lee et al. (45) proposed a GFR index (mmol) measured, after conversion of SI into concentration, by multiplying the average concentration of Gd (mmol/mL) between two and three minutes by the volume of interest (volume of the cortex, medulla, or both, in mL). The correlation with 99mTc-DTPA plasma clearance was not perfect (r = 0.72).